If you want a high shine, and protection for your tires, this is the Best Tire Shine you will find! So you find yourself in the auto dealership showroom. You are eying one good looking car. Your attention immediately goes towards the tires. In the back of your mind you are probably wondering how they make their tires so shiny. 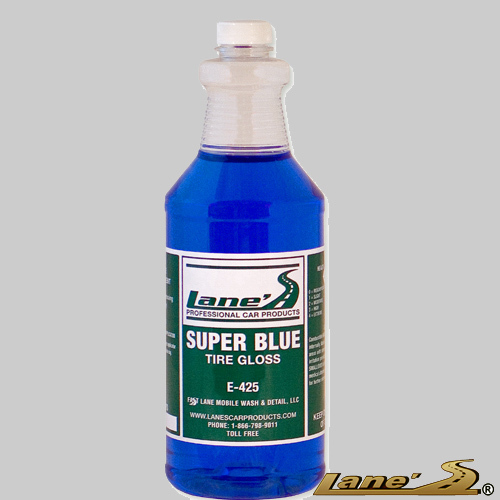 Auto dealerships know that shiny tires attract attention and that is what you can expect with Lane’s Super Blue Tire Gloss. You see, tires are the foundation for your car and, cleaning and protecting them will not only complete the look of your ride but ensure your safety. One might ask how Super Blue Tire Shine protects my tires. I thought tire dressing had the sole purpose of shining my tires. 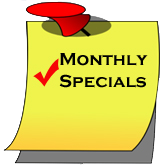 Tires are made of rubber and, without the proper moisturizers, you will experience cracking and discoloration. Sounds like a lot of work. Not with Super Blue Tire Shine. First, clean your tire with Lane’s Black & White Tire Cleaner. Once you have completed this step and the tire is dry, you can finish the look by applying tire dressing with our tire applicator to receive a nice shine. For those of you that like a high shine just spray tire dressing around the outer wall of the tire and walk away. Super Blue Tire Shine is a fast drying, high gloss, long lasting solvent based tire shine. Lane’s Tire Shine products are easy to apply and will draw attention to your tires making your car look its best. Super Blue is the best tire shine guaranteed to outlast other tire shines on the retail store level. Super Blue is a concentrated tire dressing that will repel water and add that extra protection to your tires. Click here for more of our best tire shine products!